In the high consciousness FLFE field, additional hydrating liquid is helpful. A person, plant or animal in a high consciousness field with abundant life-force energy (prana is another name) uses the greatly enhanced available energy for healing and growth, which requires more water. What follows are guidelines only, not medical advice. Please check with your health professional if you have questions or concerns. Perhaps for the first extended time period, your body has greatly enhanced energy to use for repair and rebuilding projects. It gets to work and more water is very helpful. Multiply your body weight in pounds by 2/3 (.66). Use the resulting number as the number of ounces of water to drink per day. -For example, if you weigh 150 pounds, when you multiply by 2/3 (.66) you get 100. You could drink 100 ounces of water per day. **Note** Add 1/8 teaspoon of sea salt or some other appropriate electrolyte to each 34 ounces of water. For optimal hydration, you may require more water at certain times. We suggest you use an electrolyte such as sea salt to maintain your body’s electrolyte balance. Your body can become acclimated to the available energy and may settle down into a different pace of repair and rebuilding. Take your body weight in pounds and divide the number in half (or multiply by .5). Use the resulting number as the number of ounces of water to drink per day. -For example, if you weigh 150 pounds, when you multiply by .5 you get 75. You could drink 75 ounces of water per day. Spring water from a source that is tested for contaminants, preferably in glass bottles. Filtered tap water using a filter. Two examples of reasonably priced filters are Berkey and Propur brands. Filtered tap water using more advanced filters such as reverse osmosis and other technologies. Sea salt. It has a wider variety of minerals than Himalayan salt. First and foremost, meeting hydration and electrolyte requirements is your first step toward feeling great – not only in the FLFE environment but as an overall part of your health. Correct anything restraining the reduction of the surface tension of all the water on the properties on the FLFE service. Support the body to be at the optimal pH level through the adjustment and distribution of water through the body. Do this in such a way that water moves through the body in areas that are misbalanced in alkalinity in a greater way to support a balanced pH environment in the body. Remove any negative memory from all the water on the properties on the FLFE service and remove any negative memory from all the water in the body of each person living in, working in or visiting there. Correct anything restraining the micro-clustering or any other effective and appropriate structuring of all the water on the properties on the FLFE service so that it can efficiently enter the cells of the body of each person living in, working in or visiting there. Correct anything restraining the creation of optimal conditions for hydration in all systems in the body of each person living in, working in or visiting properties on the FLFE service. Correct anything restraining each cell in the body of each person living in, working in or visiting properties on the FLFE service from increasing its ability to move water through the cell membrane in the most efficient and appropriate way. Correct anything restraining the Increase in operational efficiency of lymph glands for an optimally active lymph system for hydration and for other lymph system functions for each person living in, working in or visiting properties on the FLFE service. Correct anything restraining the increase of thirst for pure simple water of each person living in, working in or visiting properties on the FLFE service. 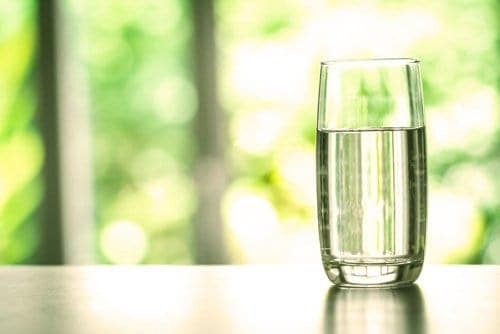 Energize the water ingested, the body and the following substances: Chlorine and Fluoride so that these substances, if ingested, will pass through the digestive track and not be absorbed into the body. The Hydration Situation 10-30-2018 from Focused Life-Force Energy on Vimeo. Addendum on Hydration from Focused Life-Force Energy on Vimeo.